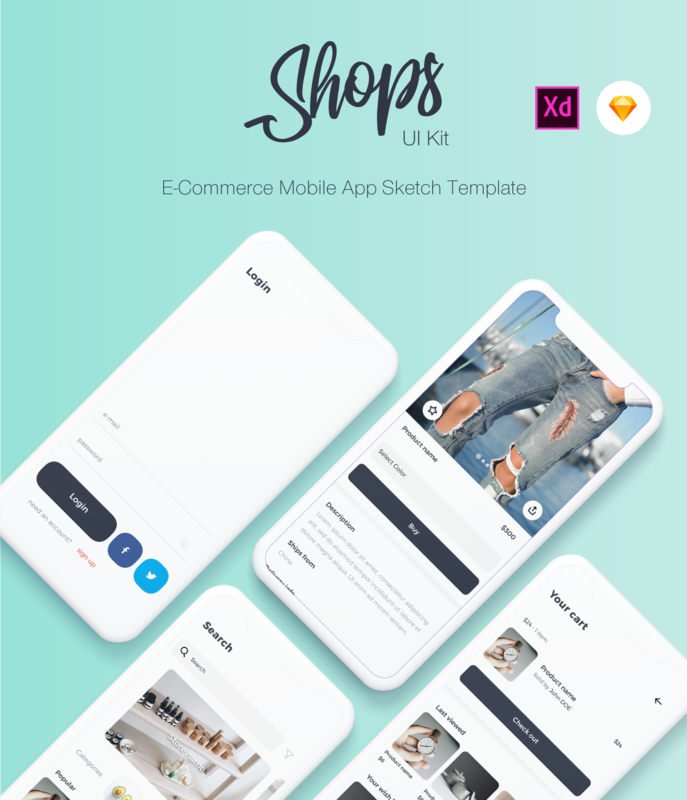 Shops is a premium E-Commerce Mobile App Sketch Template for Iphone X. It contains 31 Screens perfectly layered and well organised. Each elements is carefully named and grouped for you can easyly edit. You need to download some appropriate images from the image banks or given below link unsplash. You can also edit any text, color or any font file by double click and change the same. You can also download full or the trial version of sketch from here.